The government has so far released Rs. 179.328 billion under Public Sector Development Programme (PSDP) for various projects against total allocations of Rs. 540 billion for the fiscal year 2013-14. According to the latest data of Ministry of Planning, Development and Reforms, Rs. 37,250.403 million have been released for various projects of Pakistan Energy Commission, out of its total allocations of Rs. 52,300 million, earmarked under PSDP for FY 2013-14. Upto January 24, a sum of Rs. 22,618.901 million has been released to National Highway Authority out of total allocation of Rs. 63,038.619 million for the current fiscal year. The Commission also released Rs. 11,447.858 million for Railway Division out of its total allocations of Rs. 30,964.894 million whereas Rs. 306 million have been released for National food Security and Research Division, out of its total allocations of Rs. 750 million for the year. Funds of Rs. 7,396 million have been released for Higher Education Commission out of its total allocation of Rs. 18,490 million for the year 2013-14 whereas out of total allocations of Rs. 2,363.974 million earmarked for Law, Justice and Parliamentary Affairs Division, Rs.740.538 million have been released so far. According to the data, the Commission released Rs. 35,460.170 million for WAPDA (Power) out of its total allocations of Rs. 51,543.425 million whereas Rs. 16,487.997 million have been provided to WAPDA (Water Sector) out of its total allocations of Rs. 57,840.211 million. 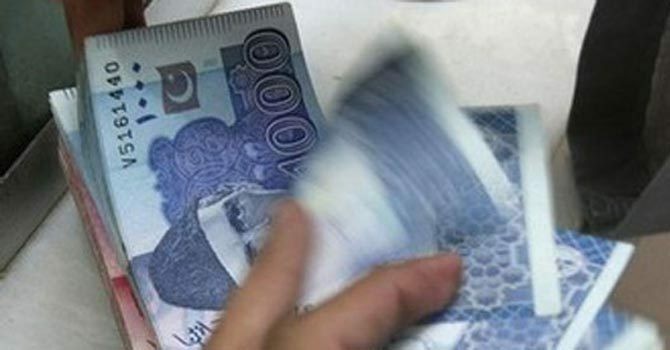 Meanwhile, Rs.5,508.00 million have been released for Earthquake Reconstruction and Rehabilitation Authority (ERRA), out of its total allocations of Rs.10,000 million for the current year. The Commission also released Rs. 962.613 million for Cabinet Division, Rs.34.839 for Climate Change Division and Rs.553.700 million for Commerce Division. In addition, Rs. 252.698 million have been released for Education and Training Division, Rs. 3,429.158 million for Finance Division, Rs.281.439 million for Industries Division, Rs. 2,441.284 million for Interior Division and Rs.68.694 for Narcotics Control Division. Rs.868.042 million for Science and Technology Research Division, Rs.136.262 for SUPARCO and Rs. 126 million for Textile Industry Division. Funds of Rs.5,447.800 million have been released for AJK (Block and other projects), Rs. 4,471.200 million for Gilgit Baltistan (Block and other projects) where as Rs. 9,108 million have been released for SAFRON/FATA.